The one thing that I absolutely love to give and receive are..... surprises! Whatever shape or form they may come in... a small pretty box, a thoughtful gesture or a something on a grander scale, it's always nice to be the one on the giving and receiving end of that. It's good exercise for the heart strings! From young to old alike, between friends and family or husband and wife ...just a little gesture can put a huge smile on someone's face. It can be as simple as being creative with your kids' lunches! 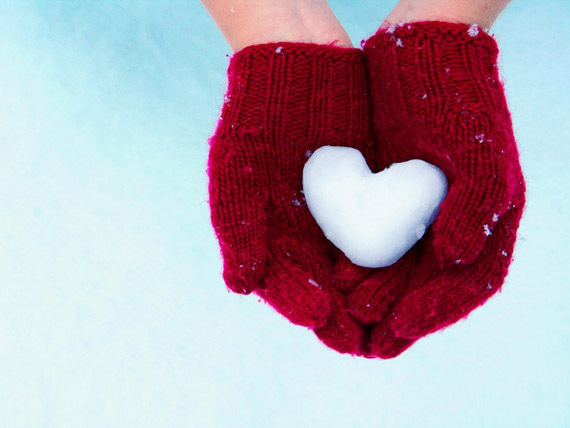 There doesn't have to be a specific date marked in a calendar to show kindness or love. Make it a part of your everyday life to show others how much you care with a little surprise! 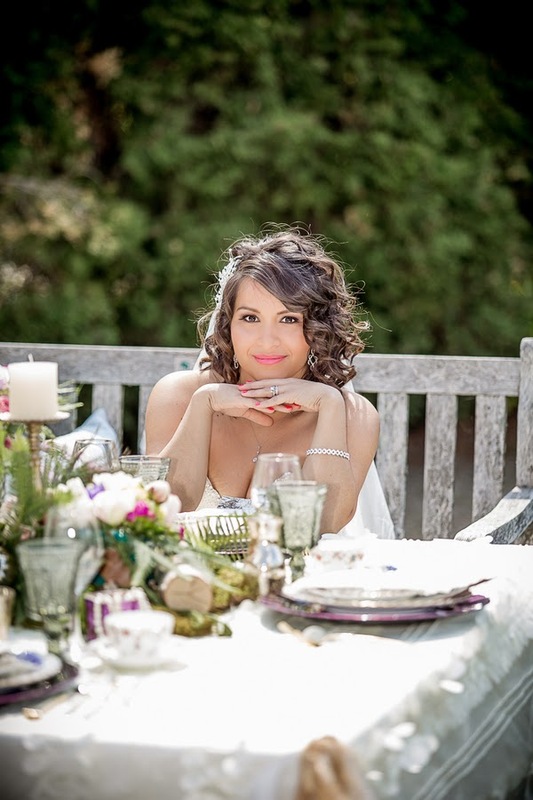 Our talented friends over at Anne Edgar Photography captured the essence of one of our models from a styled photo session we had the privelage to be a part of. 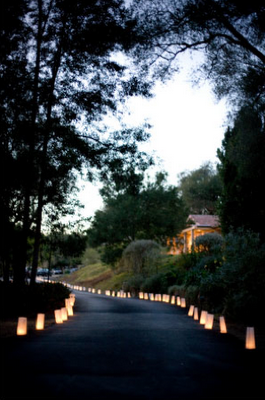 Getting Married Under the Stars: Outdoor Weddings! Always wanted your dream to come true outdoors? Love under the stars? Magic under the bright beautiful skies? Us too! Just make sure you follow these guidelines to ensure that that dream really can become a reality. First things first...Have a back-up plan! There is nothing worse than checking the weather forecast the week before and then finding out on your special day it decides to rain! Try having a few tents set-up somewhere nearby to make sure that in case the skies decide to open up that day, you and your guests will be saved! Trust me, they'll all thank you! Another way to be cautious is to just plan for the worst! 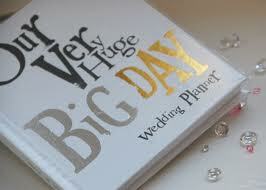 It is very common for a bride and groom to choose their special date 8 months to a year in advance. Unfortunately, there are no websites that can see the future so we have to just hope that day works out in your favour. But what we can do closer to the date, is be knowledgeable about all possible outcomes so no matter what, your day will still turn out accordingly to plan. Remember, expect the best, prepare for the worst. Check the weather forecast as frequently as you can! Don't just try one website but try a few to make sure you are getting consistent information instead of just one weather guy flipping a coin! 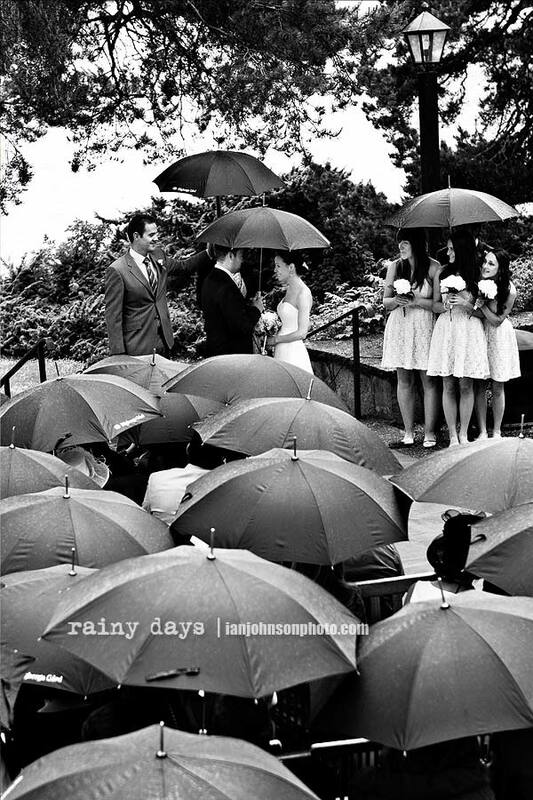 Even though things can change drastically, having an idea of the weather on your wedding day can help you with preparing for the outcome. For your guests, you want to make sure that they are having just as much fun as you are, so make sure they are well taken care of! 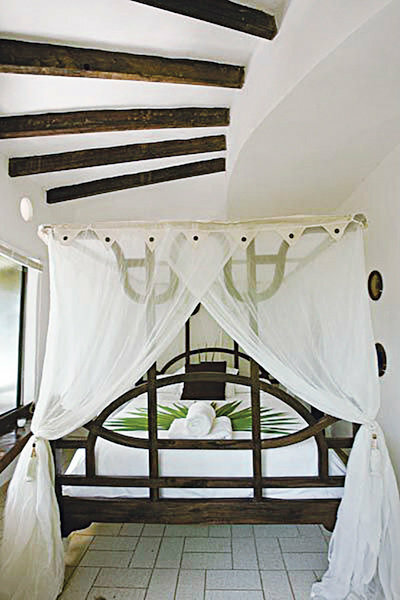 Plan to have restrooms, enough seating areas or tables and anything else that will help make their time more enjoyable. 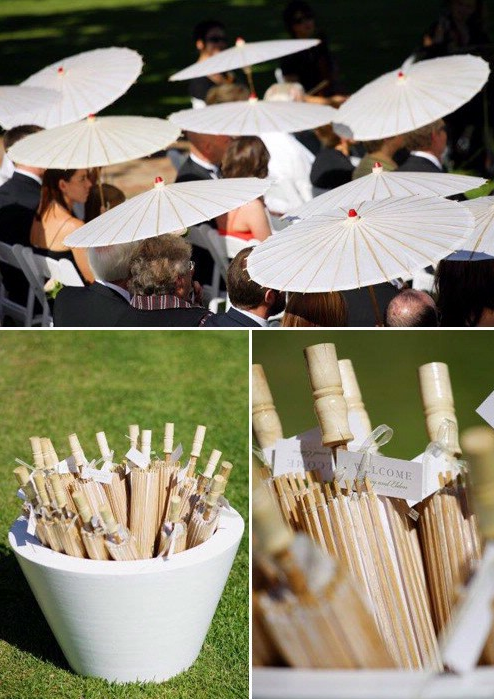 For example, if your outdoor wedding is going to be in the middle of Summer, make sure you provide hand-fans for your guests to make sure they can cool themselves down if they get too overheated. 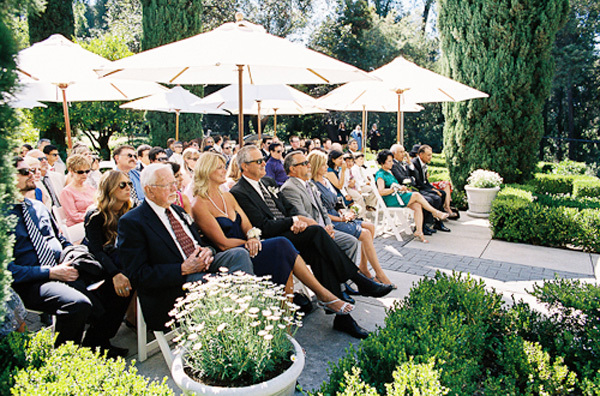 Another way to make sure your guests are enjoying themselves is by ensuring that it your venue is easy to access. It is very common for women to wear heels to these kinds of events so you want to make sure that there is even ground for them to walk on so that no one is breaking any shoes! Try creating small stepping stones to help avoid this! 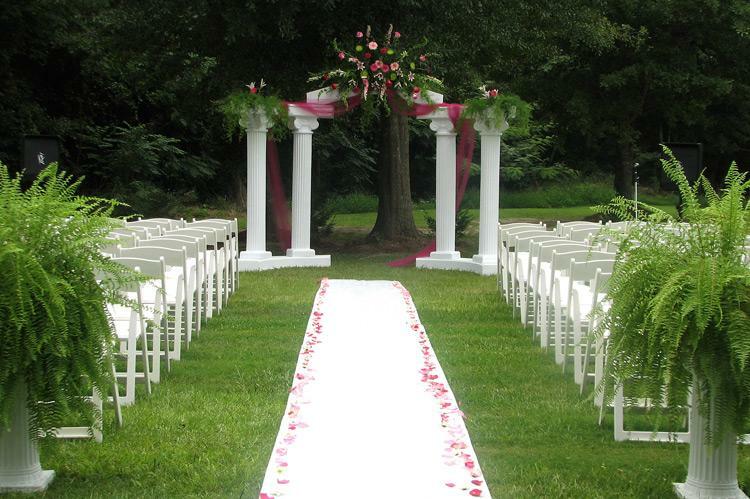 Also, for some of your elderly family and friends, make sure that there are no major hills to climb up so that everyone can safely get to your wedding! 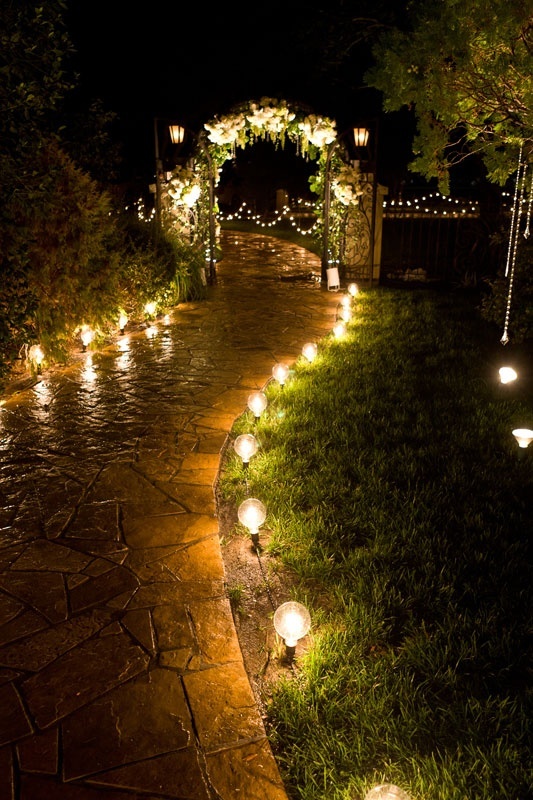 If your outdoor wedding is seeping into the nighttime, make sure that there is sufficient lighting for you and your guests to maneuver around your venue so that no one is tripping over themselves to get to the washrooms or to their seats. This is much more likely to happen if there is alcohol involved so make sure the area is well-lit. 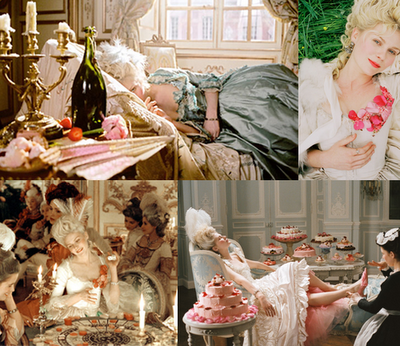 Once all of this has been planned and avoided, lastly you want to remember to just have fun! Now that you're prepared for the worst, nothing can get in your way from living out your dream wedding with your loving family and friends. 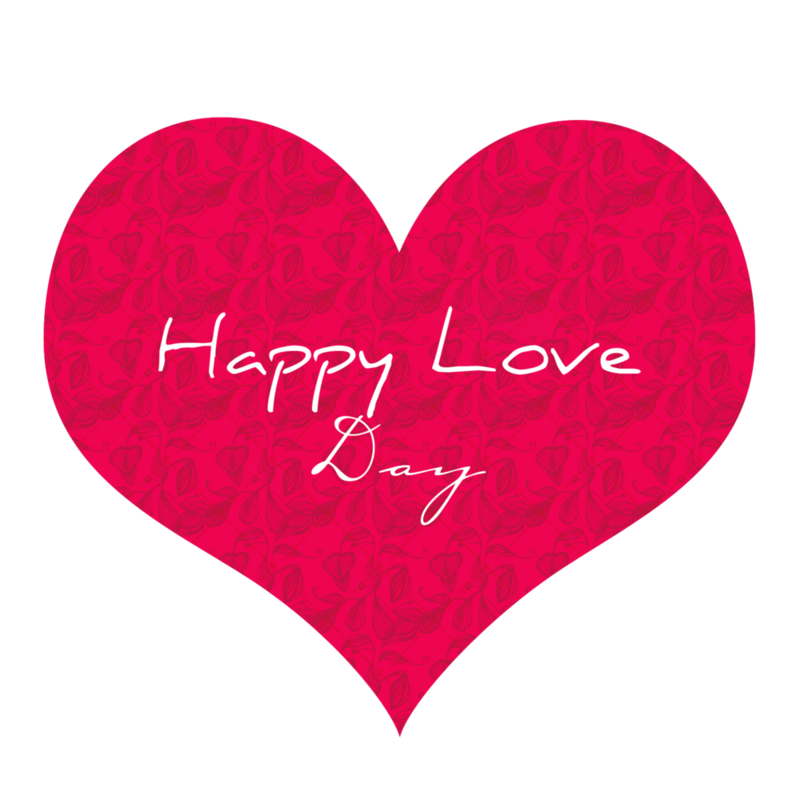 We hope all of you enjoy this "Love Day"! We know that some of you ladies out there will be getting some extra love in the form of something "sparkly"! Tell us your story ~ we would LOVE to hear it! 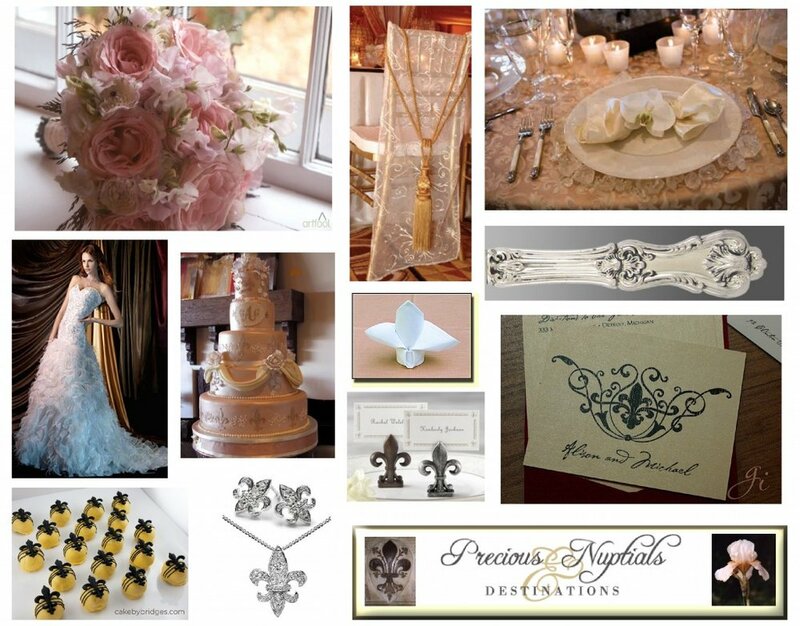 From us here at Style & Elegance..... Happy Valentine's Day! 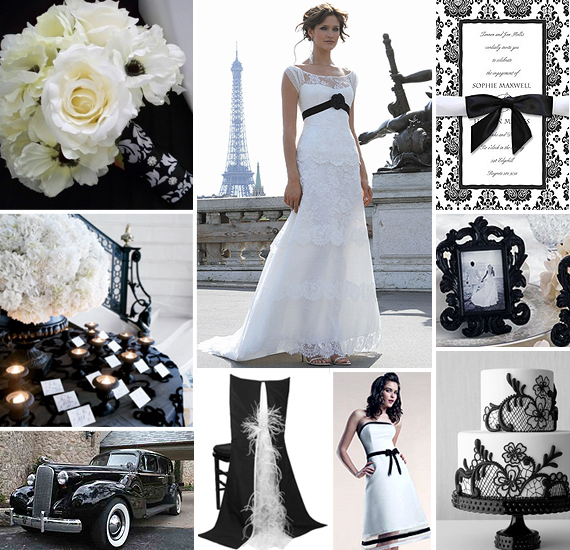 Inspiration Fridays~ It’s a Paris Wedding! 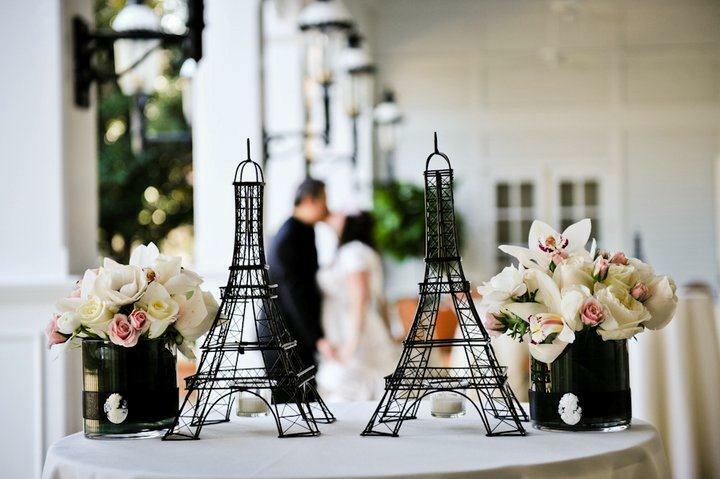 Paris is known to be the most romantic city in the world... so it only makes sense that couples want to capture the ambience and joyous feeling of love or ‘amour’ as the French would say. This next one almost has a "black tie" feel to it! Still has the Parisian vibe but with a little more umph! 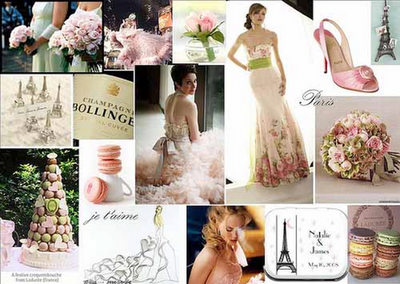 We are loving the colours in this next Paris themed celebration! The shade of green amaranthus against the lilac roses...... just lovely!!!!! 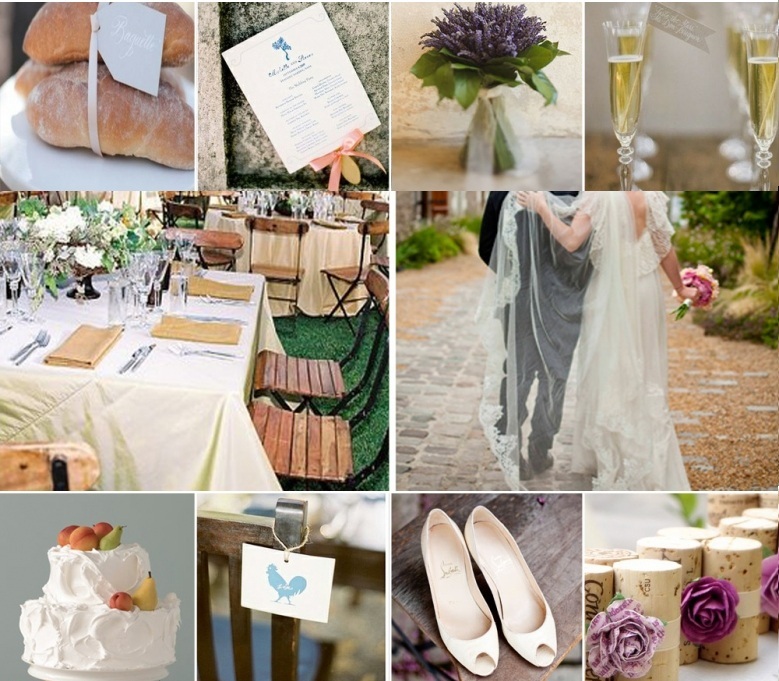 We absolutely adore these gorgeous ideas and hope we have given you something to take away and plan you Parisian wedding. 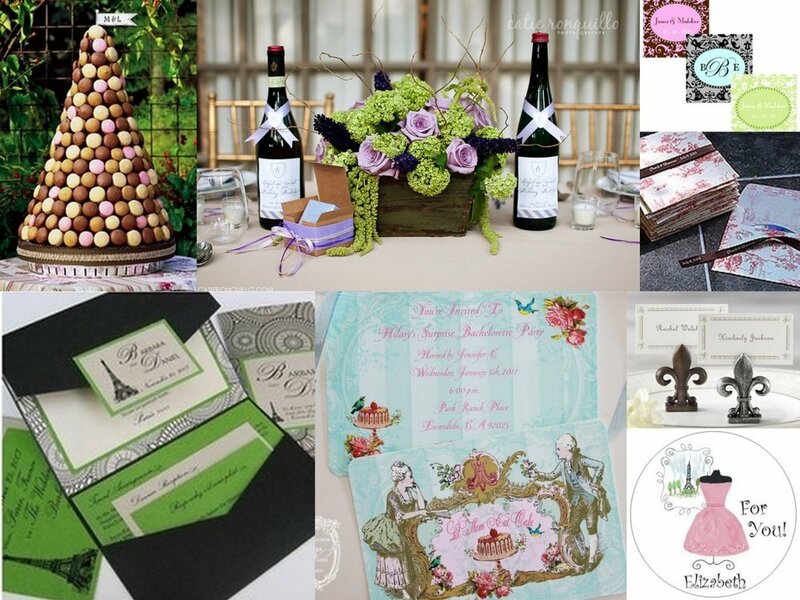 Wedding Engagement Season is here! This time of year is one that is full of surprises (namely sparkly ones in small little boxes!!!) With December 24th and 25th being popular days for the question to be popped, we will be hearing lots of proposal stories in the coming days! Just what we love! If you are one of the lucky ladies ...let us know! 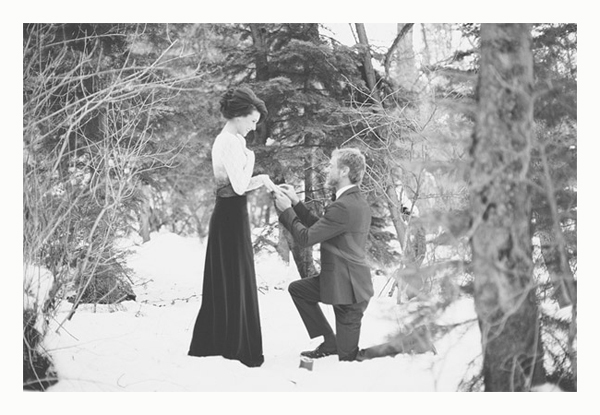 Share your proposal story with us here! We would LOVE to hear it all! Inspiration Fridays! 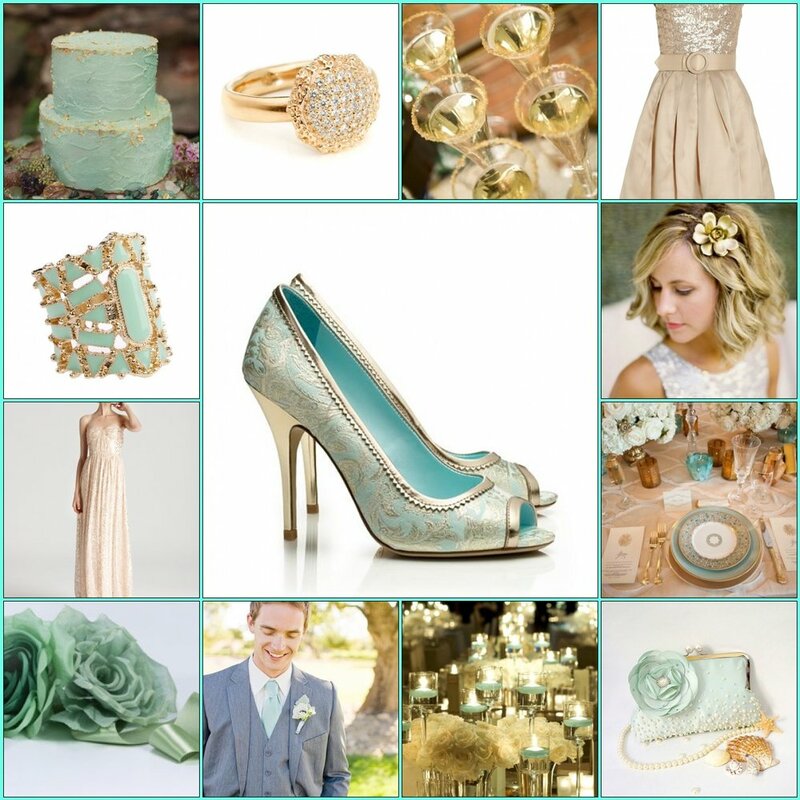 - Mint Green + Gold! What is it about this season that just makes every colour sparkle???? Gold, purple, silver, blue.... we love them all! Today's board was inspired by one of our favourite things..... SHOES!!! Enjoy the eye candy ladies! 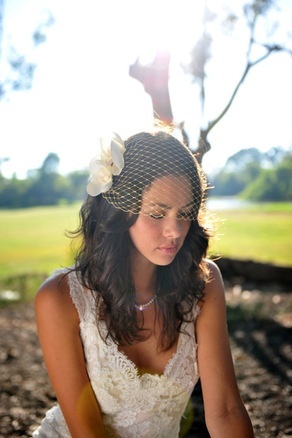 Style Wednesdays – Be the ‘mane’ attraction with beautiful hair on your big day! 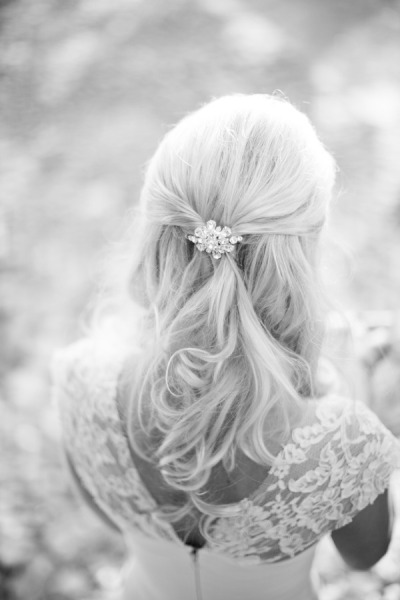 You have the perfect dress, so it only makes sense to have gorgeous hair to go with it! Here are some tips and ideas to make sure you look amazing from tip to toe. Whether it’s you or a professional doing your hair, make sure you plan ahead. If you want a colour, perm or treatment do it a few months in advance to allow the style to soften and look more natural. You will also have time to fix it if it’s not exactly right! You can also get a trim a few weeks before to neaten your locks and make sure there are no split ends. 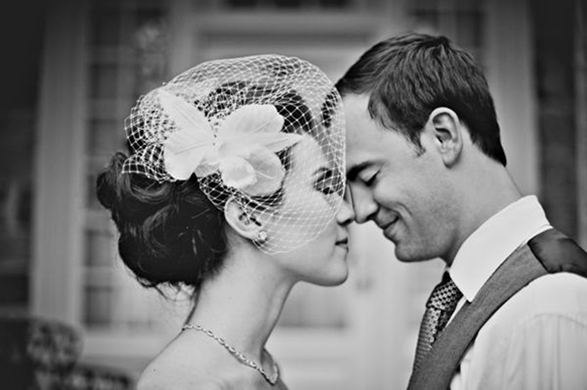 Practice makes perfect so get your stylist to give you a trial and envision yourself as the bride. Bring your veil and any accessories/jewellery you will be wearing to the trial and get the full picture. Whatever style you choose, make sure it’s comfortable and reflects your natural style. Last thing you want to do is go over the top or have a headache from having your hair pulled too tight! 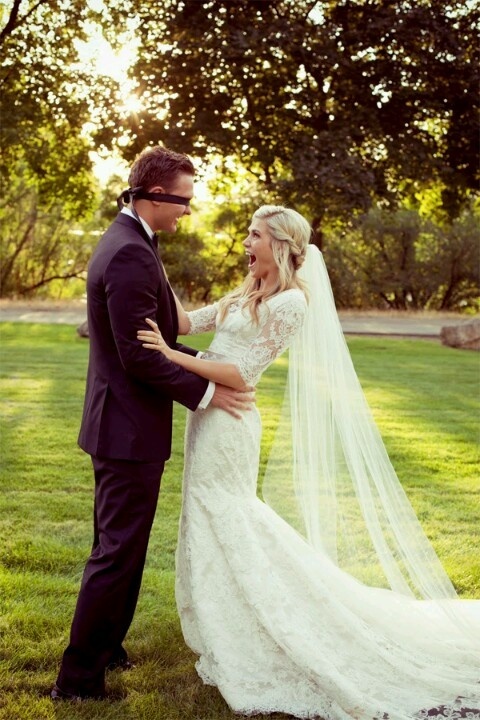 Many brides are taking this opportunity change into a different dress for their reception. 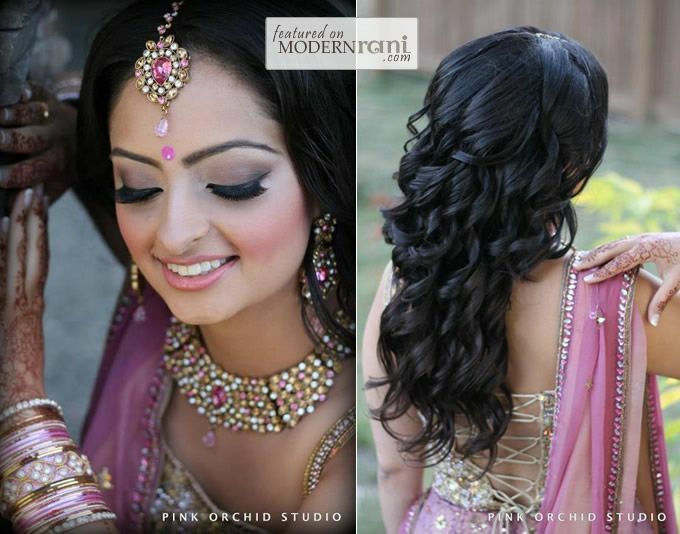 Why not have a slightly different look for your party? A little more fun and edgy? 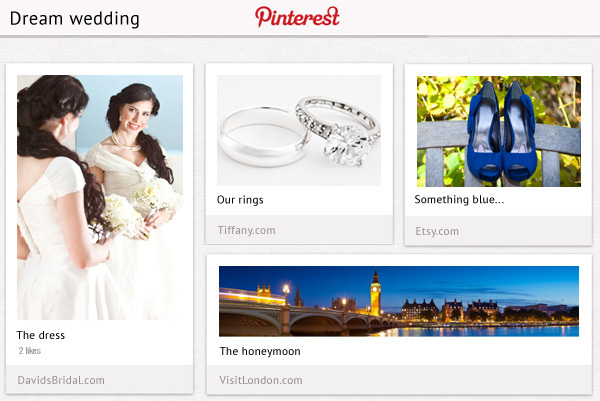 Something that will go with your reception a little more! It’s worth consideration. How cute is this next one???!!!! Whatever you decide be sure you are happy with the outcome! 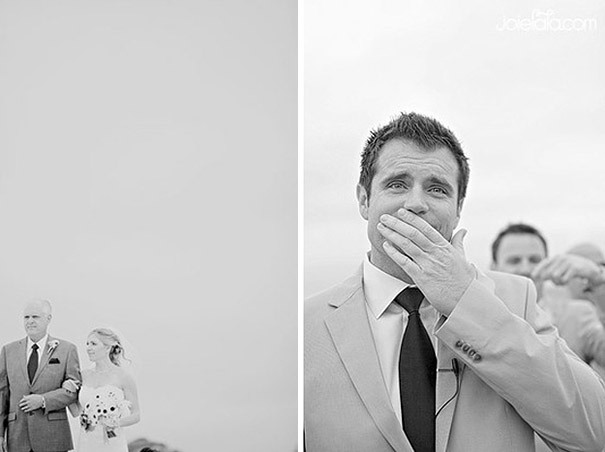 Everything about today's wedding planning journey has brides + grooms wanting to be "different than the rest". 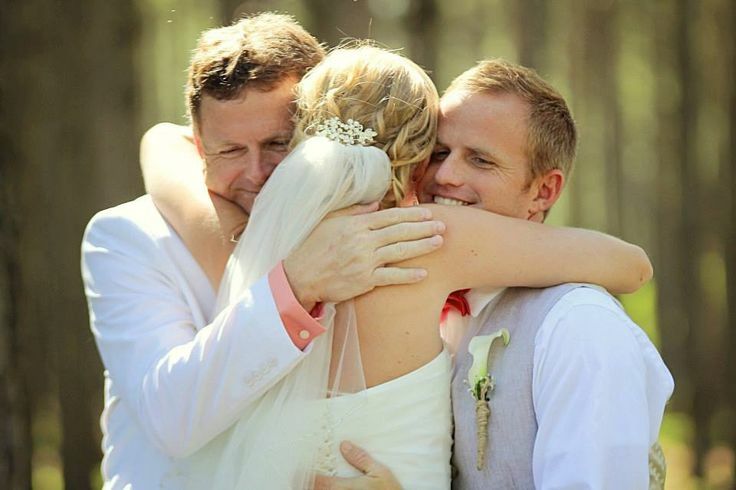 To have the unique element to their wedding day that no one else has. What better way to be unique and different than to tell the story of you! 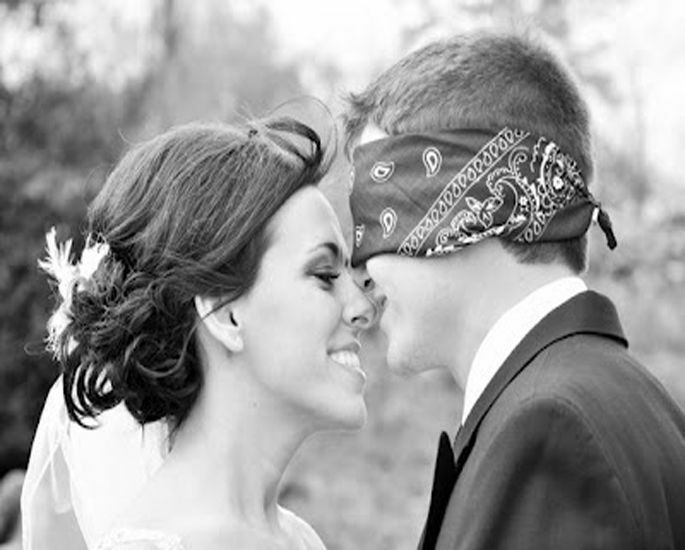 Every couple's "how we met" story is absolutely one of a kind. Why not share it. 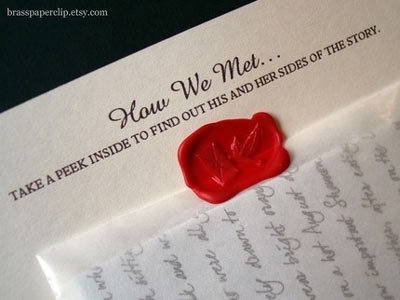 It's a great way to connect the guests to the beautiful story of how the couple fell in love and made it to the altar! 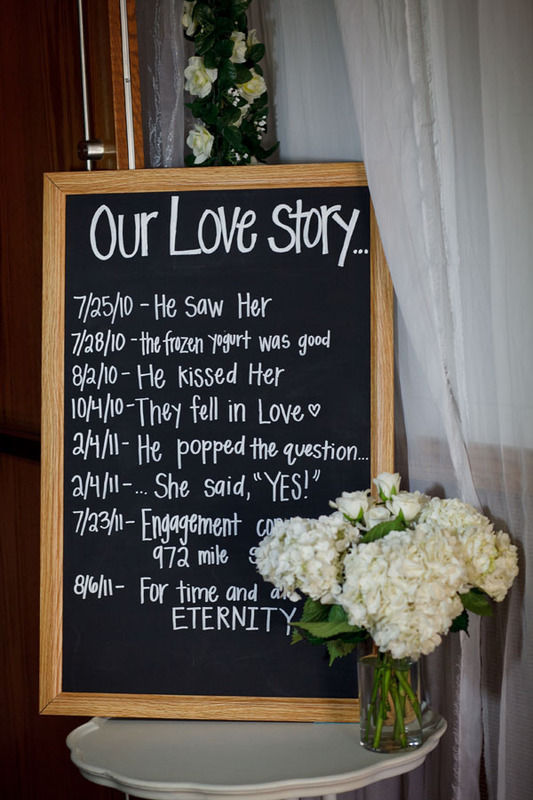 Check out some ways to incorporate "your story" into your special day! Who doesn't love a good love story???!!!! !